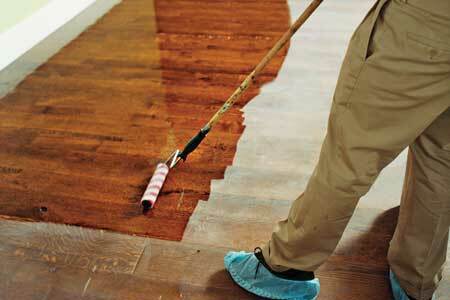 Back in 1945 George Palumbo started a hardwood floor company called George Palumbo and Sons. George trained his two son’s Nick and Anthony Palumbo to have the same passion for hard wood floors that he had. The company began to grow when grandchildren Joseph, Richard, and Robert all took to the wood flooring business. 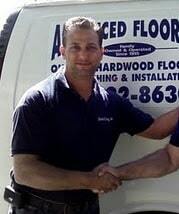 Advanced Hardwood Flooring, Inc. was started several years ago when Joseph decided to branch out on his own and focus on serving Long Island residents. The passion and pride that began in 1945 continues to this day. This hardwood floor company specializes in all types of hardwood floors for both our residential and commercial customers. Builders, designers and homeowners alike turn to us for their hardwood flooring needs; everything from classic strip wood flooring, plank wood floors, parquet wood floor designs, engineered wood floors, wood medallions for hardwood floors, hardwood floor repairs, hardwood floor installations, hardwood floor refinishing, to all types of refinishes that make hardwood floors look their best, shining bright for years to come. 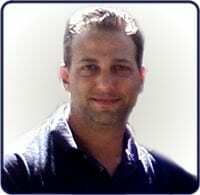 Joe Palumbo, 3rd generation of this family full of hardwood floor craftsmen, has worked hard and has built Advanced Hardwood Flooring, Inc. into a company that is second to none and noted for its reliability, craftsmanship and quality. 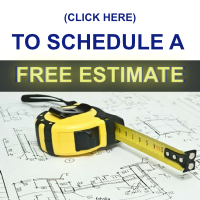 Residential Home Builders and Commercial Builders on Long Island NY have come to know that they can get high quality wood flooring products for a fair price from Joe. 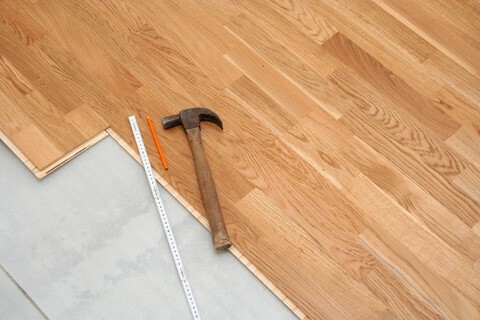 When searching for a hardwood floor company, ask how many wood products they sell and service. At Advanced Hardwood Flooring Inc. Long Island, we offer a wide variety of hard wood floor species, ranging from the most widely used, Red Oak plank wood flooring, to some of the newest products on the market such as: Bamboo wood floors from Asia, Iroko, Sapelli, Padouk or Cameron from Africa. Of course we also offer: Ash, Alder, Australian Cypress, Birch, Red Birch, Brazilian Cherry, American Cherry, Antique Heart Pine, Hickory/Pecan, Madrone, Tan Oak, White Oak, Southern Yellow Pine and Walnut, to name a few. All these wood floors are available in various grades and widths. We at Advanced Hardwood Flooring Inc. want to make sure that you, our customer, receive the value you expect in a beautiful, warm, rich hardwood floor. We do this by providing Experienced Professional Wood Floor Craftsmen, Top Quality Wood Floor Products and the personal assurance that our family stands behind our hardwood floor company’s products and services. 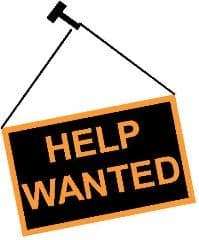 – Joseph Palumbo and the crew at Advanced Hardwood Flooring. 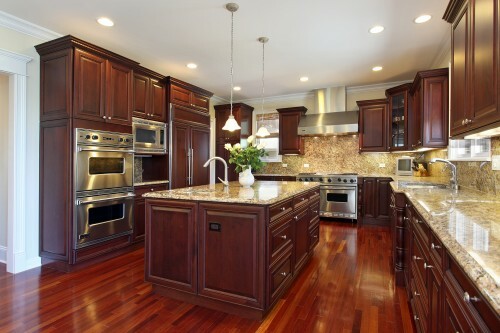 Wood floors in kitchens look great, clean easy and are soft to tread on. Refinishing hardwood flooring in Bellmore, Merrick, Seaford, Wantagh, Massapequa, East Meadow, Garden City, Westbury and many other towns on Long Island New York, NY.